Our latest #ChampDAthletes medal winner drives really, really fast. 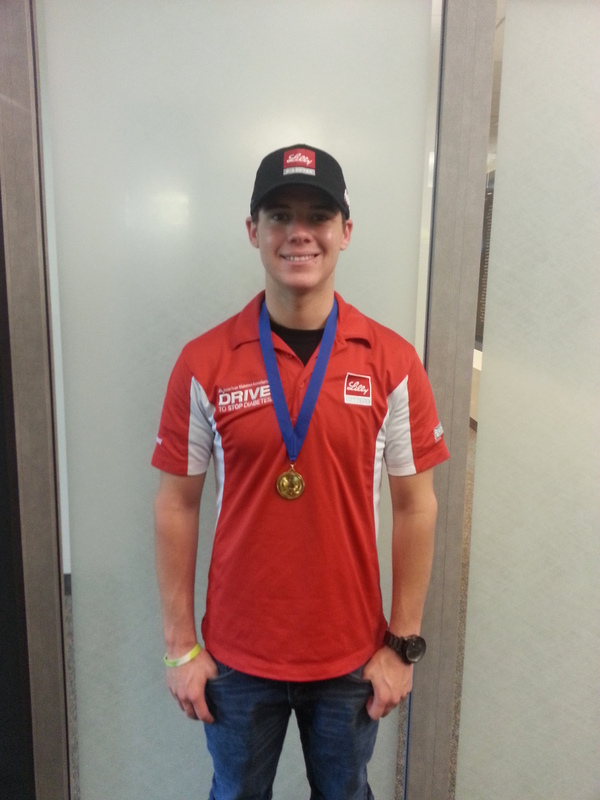 Our latest Champion Athlete With Diabetes medal winner is NASCAR Nationwide Series driver Ryan Reed! Ryan drives the number 16 Roush Fenway Racing Drive to Stop Diabetes℠ Ford Mustang presented by Lilly Diabetes (how’s that for getting all the sponsors in?). This is his second year on the Nationwide circuit, and his first full year driving every week. I was able to chat for a few minutes with Ryan over the phone last week as he prepared for his first start at Iowa Speedway (he finished 16th). First, ‘cause I’m a guy, I asked him about racing stuff: How things were going with Roush Fenway Racing in his first full year. I congratulated him on being ranked 10th on one of the most competitive racing series in the world (he moved down to 12th after Iowa, but that still means there are about 38 drivers behind him in the standings). He mentioned how things were going well, about as well as could be expected, and how it’s great being associated with such a professional organization. He’s just trying to learn all he can so they can continue to improve. What were the goals this year? Just want to continue to do well and make everyone happy. Sounds like my life, only 150 mph faster. Then we talked a little about diabetes. Diagnosed three years ago at age 17, what was the initial feeling like after diagnosis, and how did it then feel once he got to a point where he knew he could still do anything he wanted to (except make insulin)? Well, the diagnosis was about the toughest time of his life. Since then, it’s been about learning as much as he could so he could confidently go behind the wheel again. He learned a lot at USC’s Clinical Diabetes Program under the direction of Dr. Anne Peters. They’ve also worked with Type 1 Indy Car driver Charlie Kimball. And that, along with the support of family, was just what he needed to get his confidence back. I would also add that getting the support of one of the most successful race teams in the country means others have confidence in him too. So… what does race day look like for a driver with diabetes? It begins by making sure his Dexcom is working properly. The receiver is mounted to the dash in his race car so he can always see how his BG is trending. He has a special way to stay hydrated while he’s driving, with a dual unit that allows him to either drink water or a high glucose drink, depending on whether he’s trending higher or lower. If necessary, there’s a dedicated member of Ryan’s pit crew that has been trained and is ready to deliver an insulin injection. Yet another example of inspirational achievements from an athlete living with diabetes. Ryan Reed, we salute you! So… what about you? How great would it be for you to say you earned the same medal that Ryan Reed received? 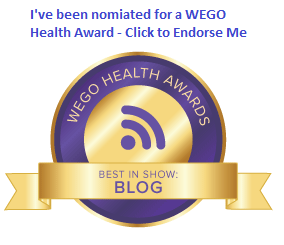 I encourage you to nominate yourself or the special Athlete With Diabetes in your life today. 1. The athlete receiving the award must be living with diabetes. 2. The athletic event must have taken place in the last six months. For now, we’re going with a pretty loose interpretation of the word “event”. If you feel you’ve accomplished something important to you, that’s an event. ‘Nuf said. 3. Send me an e-mail at champswithdiabetes@gmail.com. Tell me your name, name of the athlete (it’s okay if it’s you), and your address (gotta know where to send the medal). Most important, tell me what athletic goal was accomplished, and when. Extra points if you tell me how you felt accomplishing the goal. Full disclosure: I reserve the right to use your testimonial here, on Twitter, and on Facebook. I will not use your name if you don’t want me to. As always, I will never share private information. 4. When you receive your medal, it would be great if you post a photo of it around the athlete’s neck. You can send a Tweet to @ChampsWithD (hashtag: #champdathletes) or post it on the Champion Athletes With Diabetes Facebook Page. If it’s a big deal to you, it’s definitely a big deal to me too. I want to support you, or support the Athlete With Diabetes in your life. Send an e-mail for your award today. « #DBlogWeek Out-of-Order Day 6: Saturday Snapshots. SO COOL! Great article, Stephen! Love it!!!! And tonight Pete and I continue our 5K training plan. I am determined to earn my medal too. Awesome!! I need to train for a 5K and beyond very soon. Now, I’m seriously interested in sending my name. I’d like that medal.